As a current Security Operations Analyst and previous Database Engineer, Joseph Rodriguez has a vast understanding of programming, data mining, and quantitative methods for information systems. But as a father of four, he struggled to figure out how he could best generate supplementary income that would allow him to spend more time with his family instead of the office. Help came in the form of a friend – a Navy veteran turned successful investor with over 12 buy-and-hold properties gave him the advice to start investing in real estate. 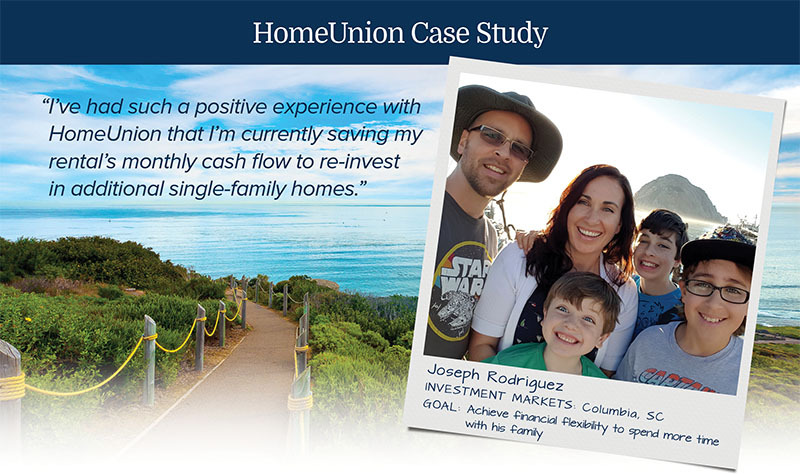 Rodriguez promptly looked into buying rental properties nearby, but quickly realized that the soaring home prices in San Diego and lack of real estate investing experience would be challenging, even for an engineer with his skill level.